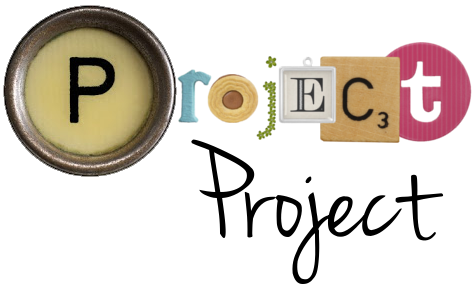 Project Project: Christmas around the house. 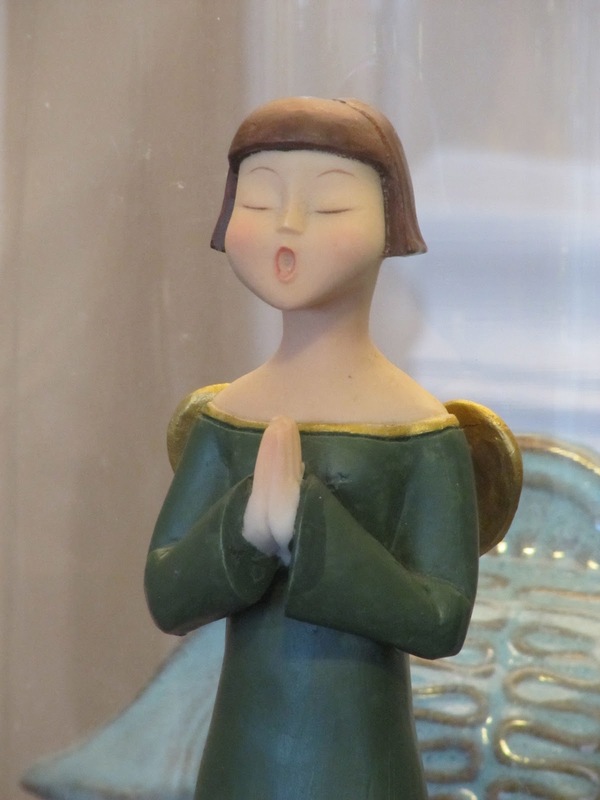 Just hurtling by the blog in the midst of our Christmas preparations. We decided last minute to rent a cabin in the mountains for Christmas, so are up to our eyeballs in ski pants and snow shovels as we try to get ready for a week of snowy weather and pack up and transport Christmas in full. Things are a little nuts (the UPS guy must think we are! ), but the end result is going to be so completely worth it in the end. I can't wait for a week of indulging in my favorite people, good food and general holiday cheer. 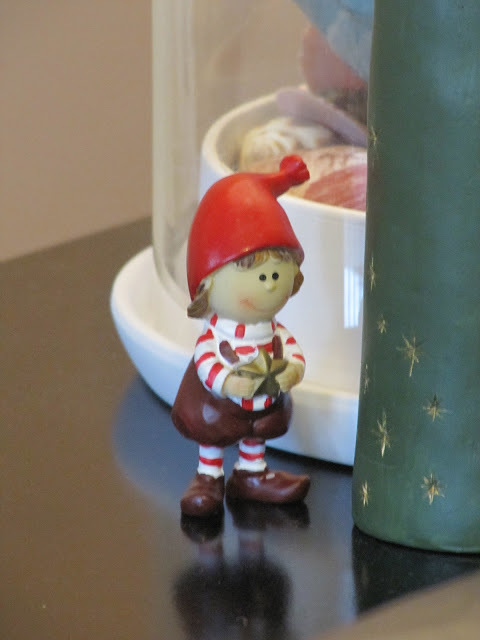 Before I skip off into the snowy sunset though, here are a few shots of Christmas around our house. We keep things fairly simple (I think? ), and with a pretty distinctive Norwegian flair. Because my mother is English and my father is Norwegian, I grew up blending holiday traditions from those two countries, and now we've thrown America into the mix too. December is a good month at our house! 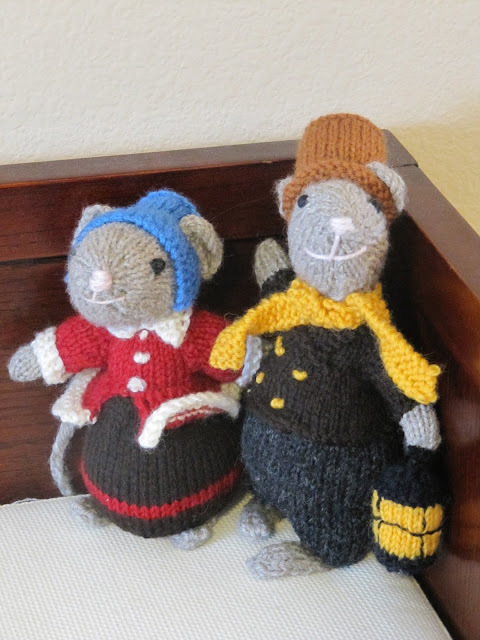 A couple of Dickensian mice, just out caroling on the bench. These are impossibly hard to get a good photo of , but we got two silver bells with Espen and Gwen's names engraved on. 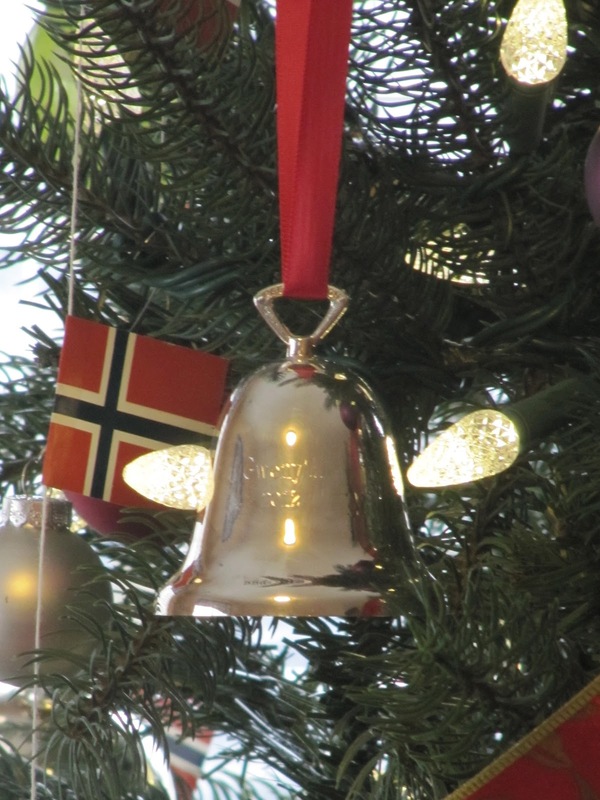 Oh, and Norwegians put flags on their Christmas trees. No biggie. Advent candles in the window. I love seeing these lighting up the dark when we get home at night. We're living on the edge and put the presents under the tree early, even though we have a toddler on the loose. The nativity, for once not creatively staged by Espen. Never mind, I just noticed a goat with attitude over on the right. 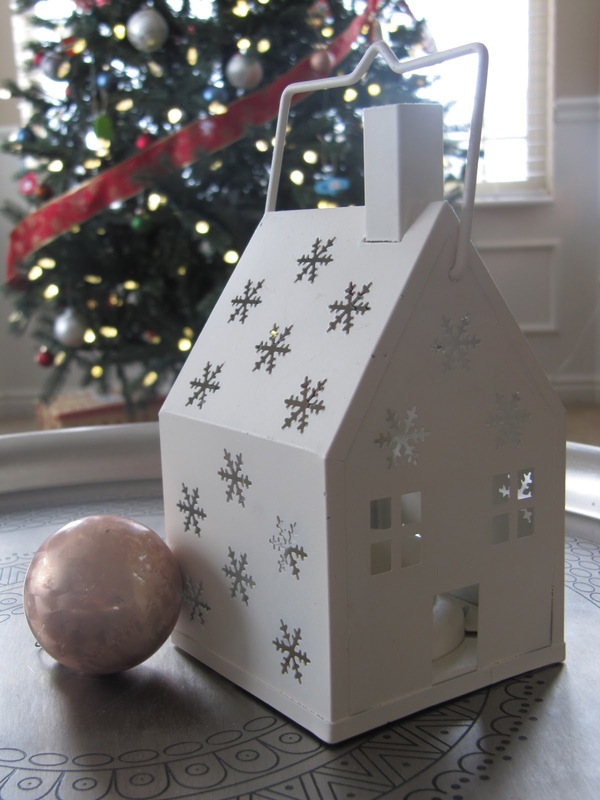 My sister-in-law brought me this little house from the Netherlands, and it makes me happy every time I see it, even if I haven't managed to scrounge up a tea light for it yet. 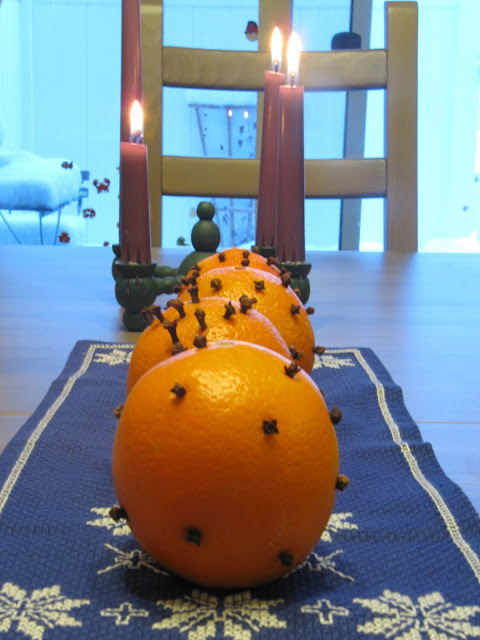 Oranges with cloves and some advent candles on the kitchen table. christmas in the mountains!? I'm jealous. LOVE that little white house! i absolutely love those little mice! adorable!